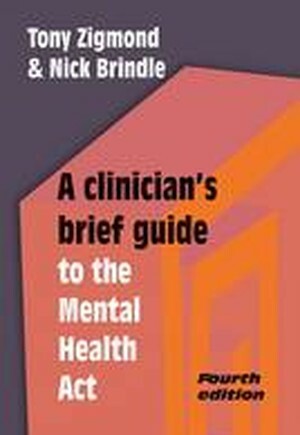 This is a 'how to' book guiding clinicians through the mental health legislation that they need to understand and use in their daily practice. It includes practical advice on detaining and treating patients lawfully, civil and court detentions, community treatment orders, consent to treatment, giving written and oral evidence for Mental Health Tribunals and the statutory instructions for requirements to become section 12 and/or Approved Clinician approved. As well as the Mental Health Act 1983 and its amendments of 2007, 2012 and 2014 (resulting from the Health and Social Care Act 2012 and the Care Act 2014), the book includes relevant aspects of the Human Rights Act 1998 and the Mental Capacity Act 2005 (including the Deprivation of Liberty Safeguards). This fourth edition covers significant new case law from the past two years and the revised Mental Health Act Code of Practice and revised Reference Guide; these now contain more emphasis on human rights and equality. Both authors are psychiatrists with many years' experience of using the legislation in their clinical practice. The book is written using the language of clinicians and includes practical answers to many of the questions regularly asked of Tony Zigmond during the numerous training courses for section 12 approval and Approved Clinician training that he has given. 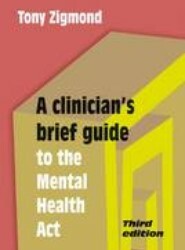 An essential guide for all users of the Mental Health Act.Practical advice and answers to real-life clinical questions.Readable and useful for everyday practice.Written for clinicians - not lawyers!